On October 6th, 2017, a Memorandum of Understanding was signed in between the ISF represented by Major General Imad Othman and BPG - Lebanon represented by its President Mr. Roger Tanios. Both parties agreed to exchange knowledge on Intellectual Property laws and regulations and cooperate in fighting counterfeit and many more illicit acts attacking IP rights. 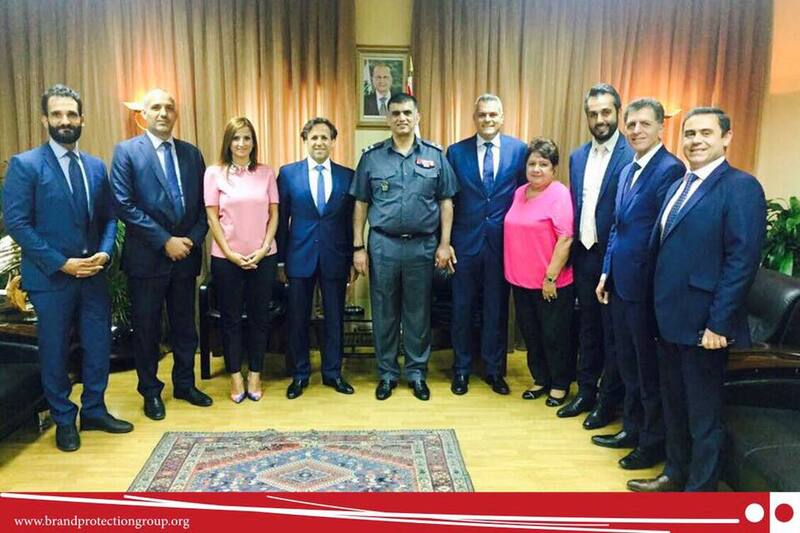 General Ziad Jazzar and Colonel Bashar Al Khatib attended the event from the ISF side while Attorney Rany Sader (Vice-President), Mrs Kawkab Sinno (Secretary), Attorney Joelle Bou Abboud (Advisor) and Mr. Hussam Daher (Advisor) attended the ceremony from BPG side.